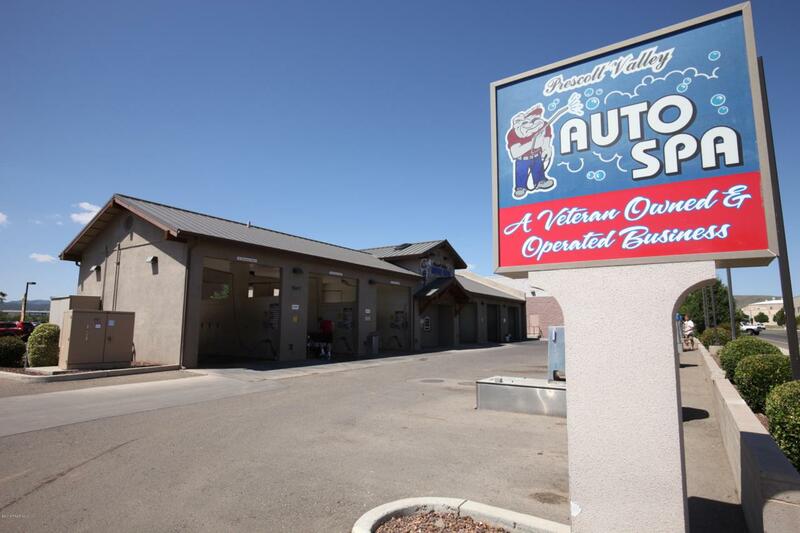 This is a great opportunity to own and operate your own car wash business in Prescott Valley. The business and the real estate are being sold together. The car wash includes wash 4 self serve bays, 2 touch free bays, 8 coin operated vacuums, and scents and detail vending for additional income. Prescott Valley is growing and thriving and has new residents moving in daily. The business is close to the Prescott Valley Event Center, a few blocks from the entertainment district, less than a few miles from Walmart and other shopping. There are over 200 apartments being built around the corner which will increase the already high traffic counts in thearea. N Lake Valley and HWY 69 has traffic counts of approx. 28000. Seller is willing to train the new owners.